Yup. 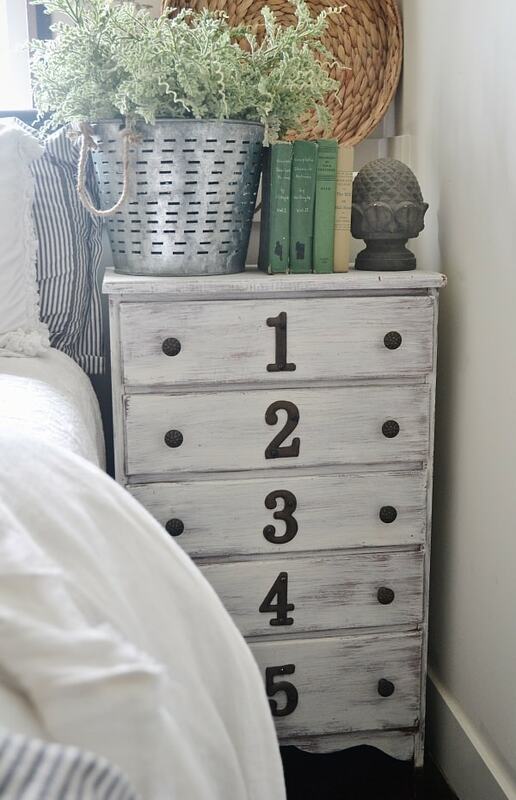 Another dresser nightstand! That makes three in our house now. 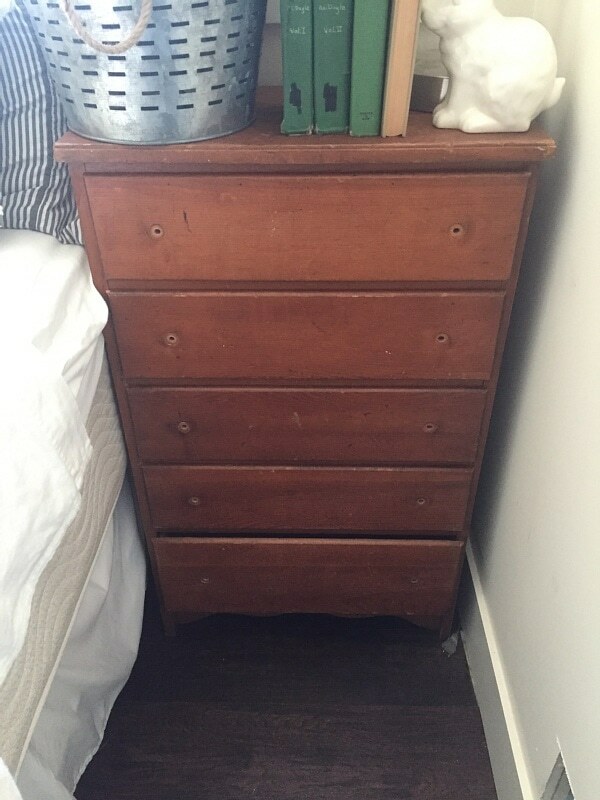 Our master bedroom has two antique dressers that we turned into nightstands that you can see [here] & now our guest bedroom has a dresser for a nightstand. In our small home it’s just bonus storage which we need & love! 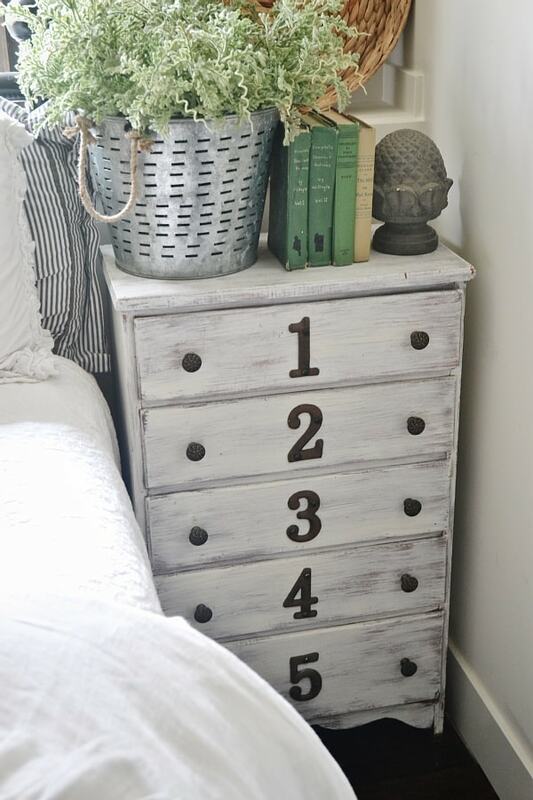 I rescued a this little dresser the other day & right away knew I wanted it to be a quirky little rustic numbered dresser nightstand. I wanted it to be imperfect & perfect for our little cottage guest room. The guest room is in the process of being moved into our old office in our lower level so this is just one of the pieces getting it closer to being done! The dresser isn’t styled permanently & really just has everything in the room kind of stacked on it for now, but hey styling will come in time when the guest room gets closer to being done! Today it’s all about the newly refinished dresser. Funny how I re-do things to make them look old & shabby huh? How I got the look: I dry brushed the piece with Maison Blanche oyster & then waxed with the white lime wax to seal the piece & give it a little more depth. I chose to dry brush the dresser for the worn look instead of sanding it or using another method. I don’t dry brush pieces often so this was a fun little change up. 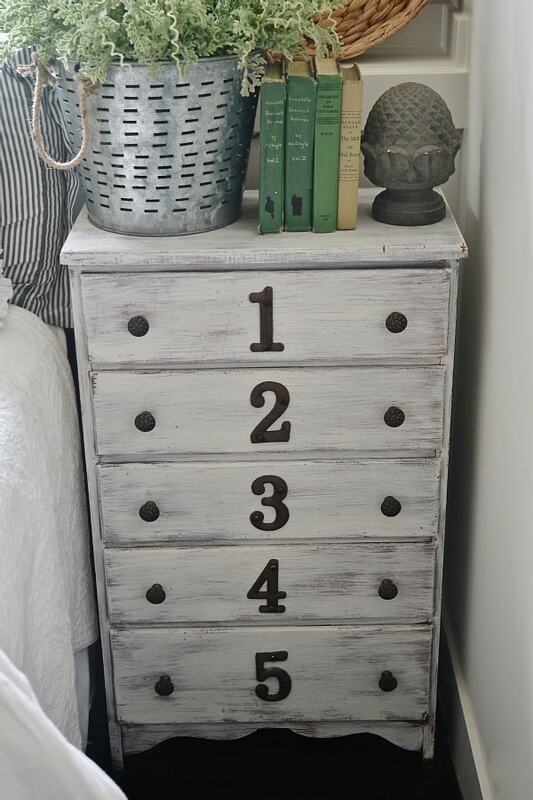 I bought some knobs from Hobby Lobby & the numbers were purchased from Painted Farmgirl. 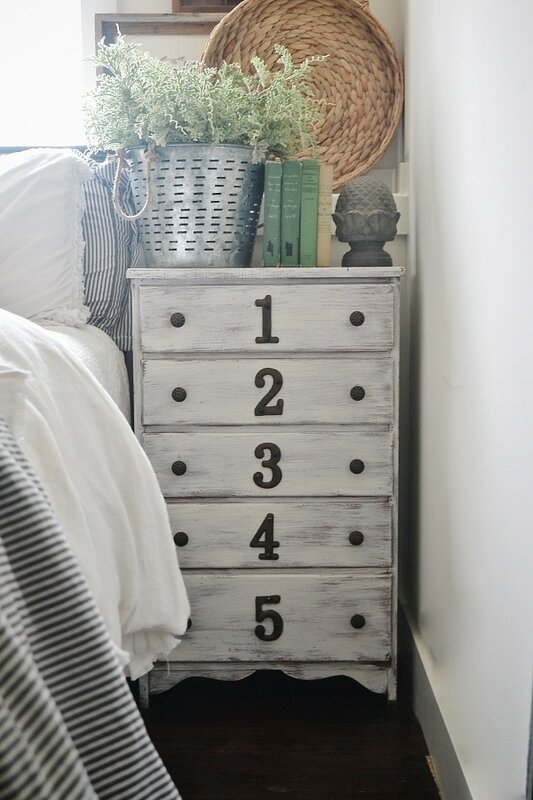 We attached the numbers with screws to the drawers in kind of an imperfect manor & I really love how it turned out. It’s fun experimenting with new paint & wax combos & I have never tried white wax with oyster chalk paint before. Liz, you have the most incredible eye for design! I love love love your style! You definitely have one of my fave home blogs! Liz, another great project! Everything you touch turns into a stunning piece. Thanks for always sharing. ANOTHER super-cutie. Great choice with the dry brushing, and the letters are darling. You really listen when these finds speak to you, and interpret what they want to be so well! It’s beautiful!! This is adorable! 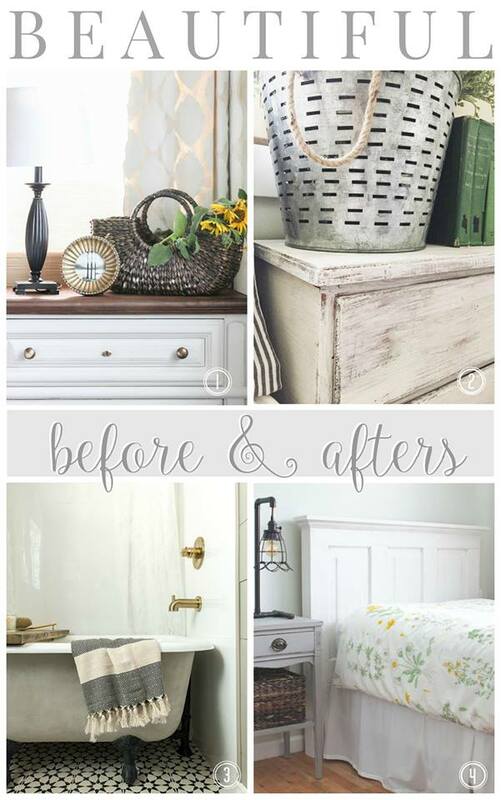 I have this (almost) exact dresser that I hated until I took your design and went for it myself! Where did you find the knobs?? I’d first just like to say that our styles are very similiar. 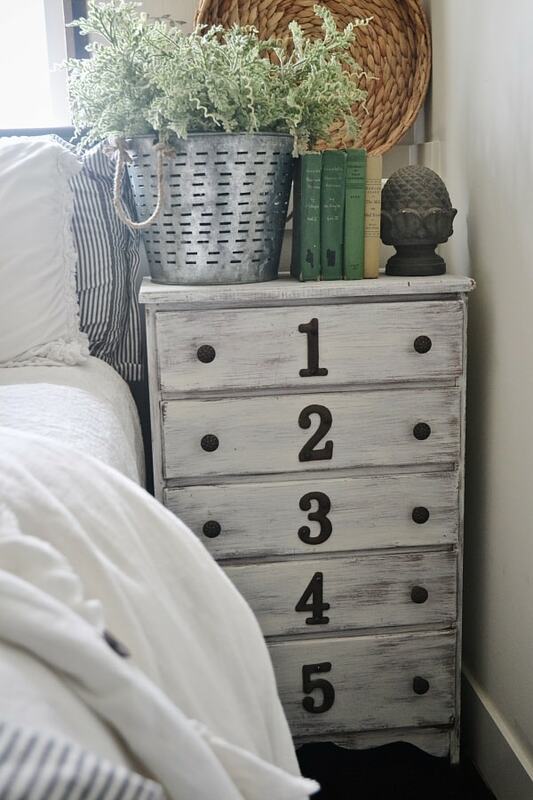 I’m in love with the look of this dresser. I have a dresser that i painted a sleek white but i may make it a bit more anitique. I am more of a boho type style and think that this would look great in my room. Thank you for sharing!